Downstream from the big Goshiki Zakura Bridge is the diminutive Kohoku Bridge. The alignment of the two bridges is shown in the Google Earth photo from my May 5th blog. 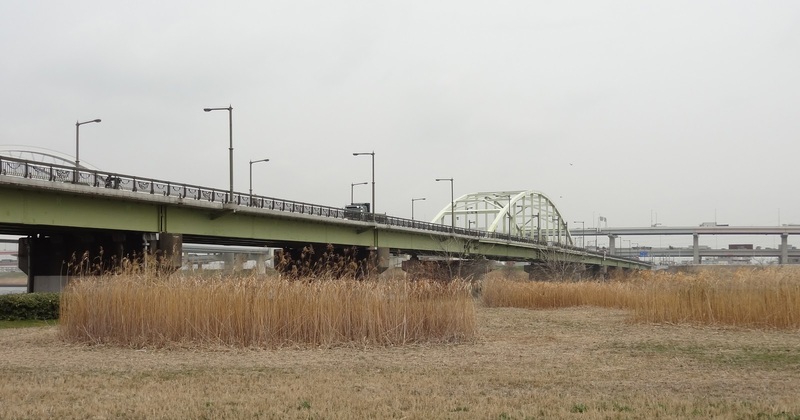 Route 307 crosses the Sumida River over the Toshima Bridge and then turns to the north and crosses the Arakawa on the Kohoku Bridge. 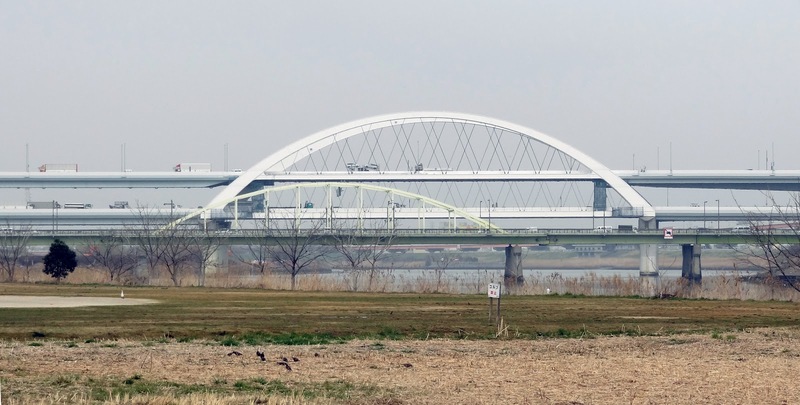 The Kohoku Bridge was completed in 1967. It is a long steel girder bridge with a steel tied arch span across the shipping channel. A view of the west approach spans is shown below. It's composed of simple spans on big pier walls. Note the floral motif on the railing with the lampposts on the outside. Japan's Bridges: Kohoku Bridge across the Arakawa by Mark Yashinsky is licensed under a Creative Commons Attribution-NonCommercial-NoDerivs 3.0 United States License.